Here on Fun Island, life revolves around you. 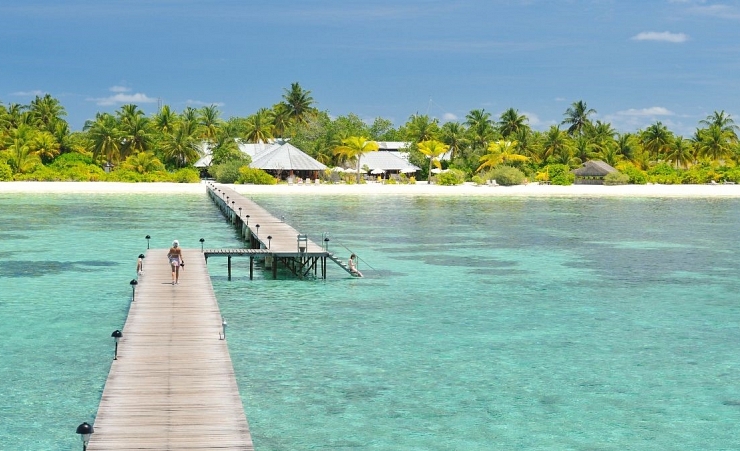 So what do you want from your holiday to the Maldives? 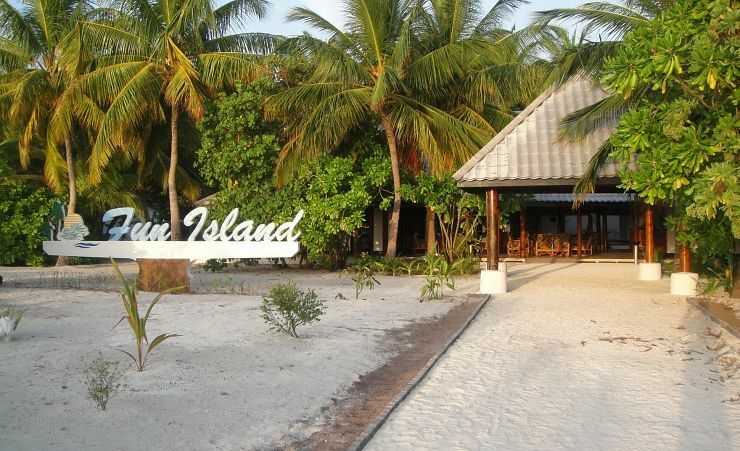 From beach volleyball to a dolphin safari, the Fun Island Resort and Spa delivers it all. 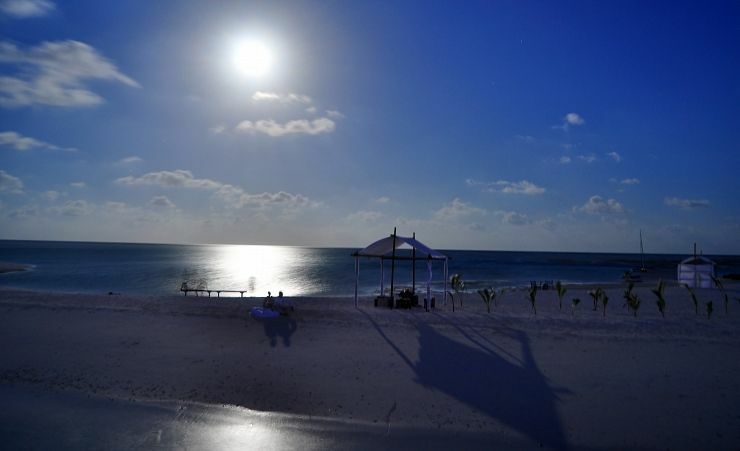 Soft sand, warm waters and lots of great amenities make this the place to relax, unwind and have fun in the sun. 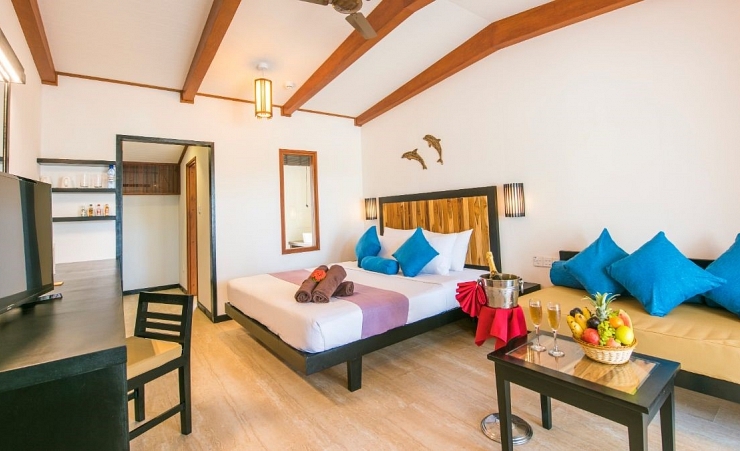 The sun, the sea and the sand, the perfect accommodation and the amenities; it all adds up to a great holiday experience at the Fun Island Resort and Spa. With water safaris, water sports, beach activities and great food and drink, this is the sort of holiday where fun comes first. But there's every opportunity to unwind too. 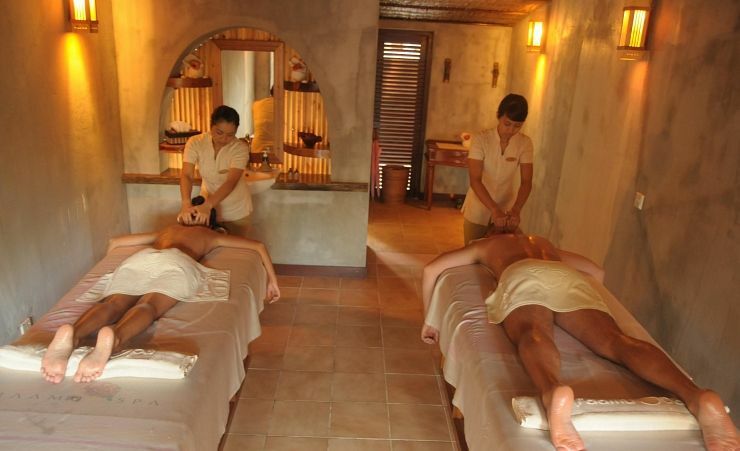 After a thrilling dolphin safari or a few hours island hopping, treat yourself to a reviving treatment at the Araamu Spa and a relaxing Thai massage, or traditional Maldives massage and facial. You'll love your accommodation too. With their balconies and full air conditioning, beach front rooms come with a mini bar and plenty of towels. 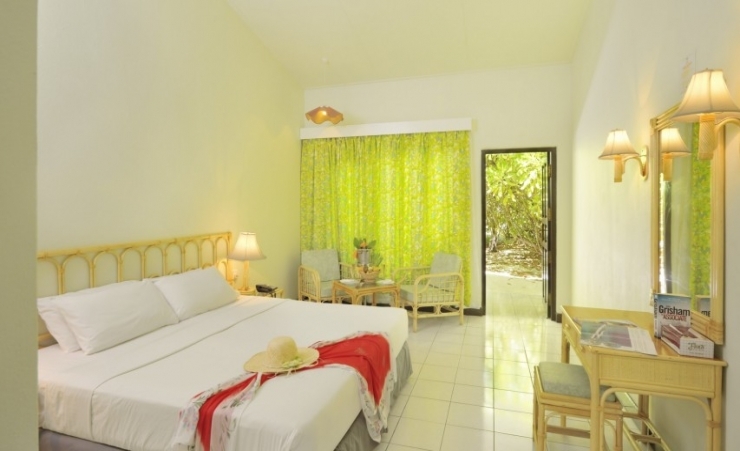 Upgrades are also available if you like the sound of an open-air bath tub, LCD television and private outside area. You can rest hard and play hard at the Fun Island Resort and Spa; take your pick of table tennis, beach volleyball and an excellent gym. There's a great bar, a coffee shop and a wonderful restaurant too. After all, that fresh air really sharpens the appetite. All the sports, all the water sports and all the activities, the Fun Island Resort and Spa gives you the full Maldives experience with a little added extra dose of fun. 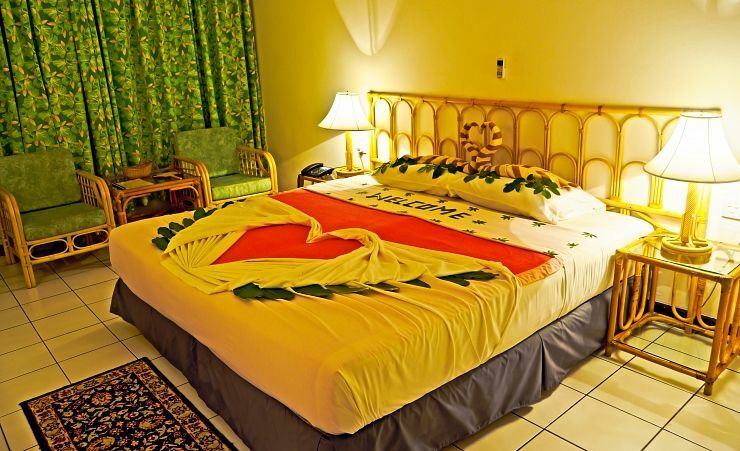 Find out more about your accommodation and the in room facilities at the Fun Island Resort and Spa . 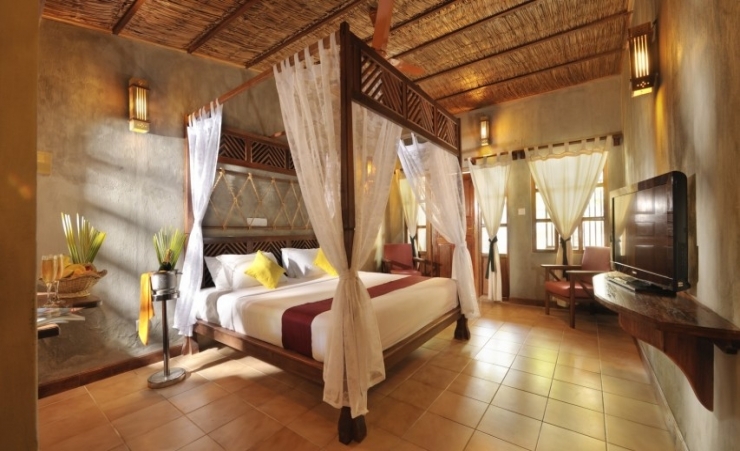 Enjoy the Ultimate Accommodation experience, with direct access to the Immaculate white sandy beaches from your room. Unique and spacious with a private terrace and an outdoor bath tub, these rooms are elegant and contentedly furnished with all modern facilities. Thousands of islands called "atolls"
Numbering over a thousand different islands that resemble pearl drops scattered among the Indian Ocean, the Maldives is one of the planets most dispersed and beautiful countries; a place where you can forget about the outside world and simply relax. 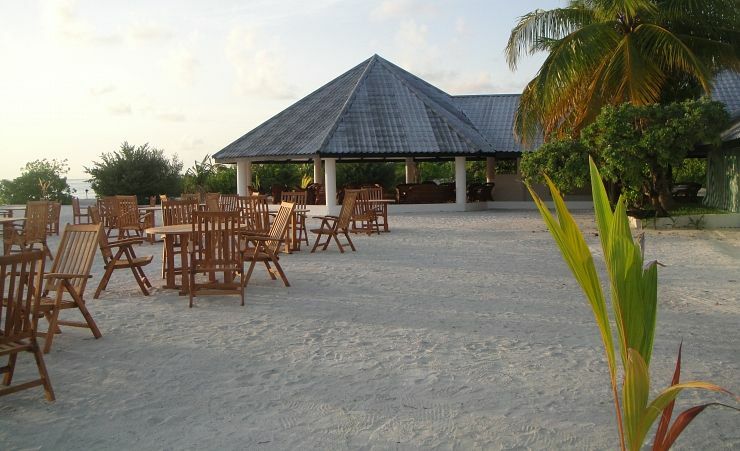 With most of the islands uninhabited, the Maldives deserves its reputation as a place to escape from the world and its many troubles. 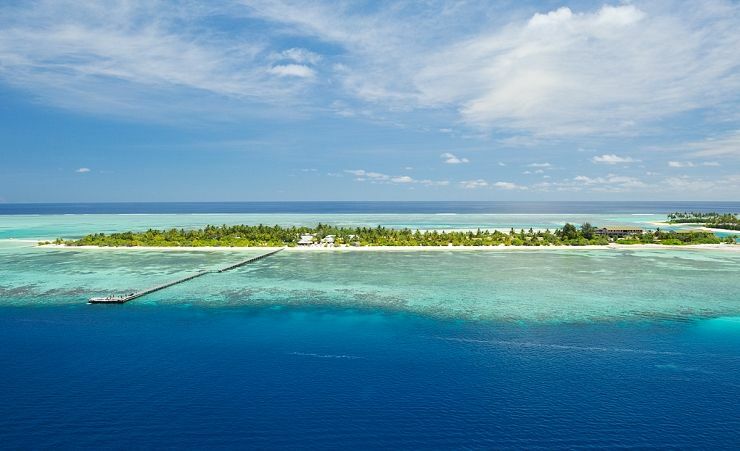 When you start with a transfer from airport to resort in the form of either a speed boat or seaplane, you know that you’re in for something truly special. 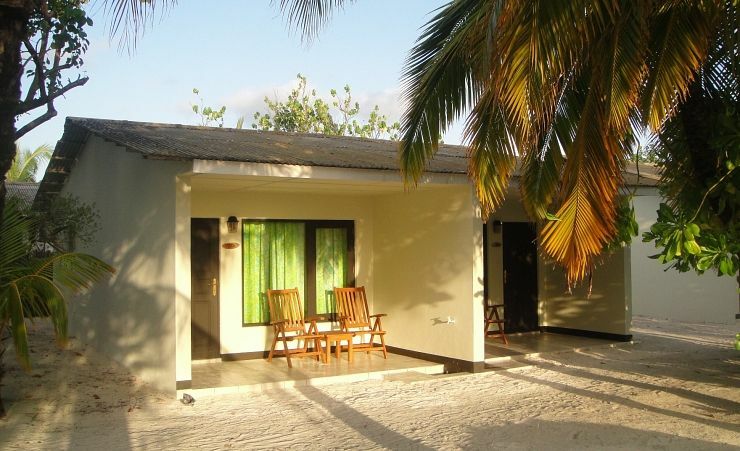 The tropical climate of Maldives means the temperatures are quite consistent and incredibly pleasurable, with averages highs in the low-30s all year-round. The warmest time of the year is generally to be found during April, but this also coincides with the beginning of monsoon season, which runs from April to October. Rainfall is particularly likely from June to August. One of the most important festivals found on the islands is that of the 3-day Kuda Eid celebration. Coming as it does at the end of Ramadan, there is no fixed date each year, due to the dependency on moon sightings. But if you are around for it, heading to the capital city of Malé will allow you to enjoy the massive street parade (though even the quieter islands are likely to be enjoying traditional dancing and feasts). 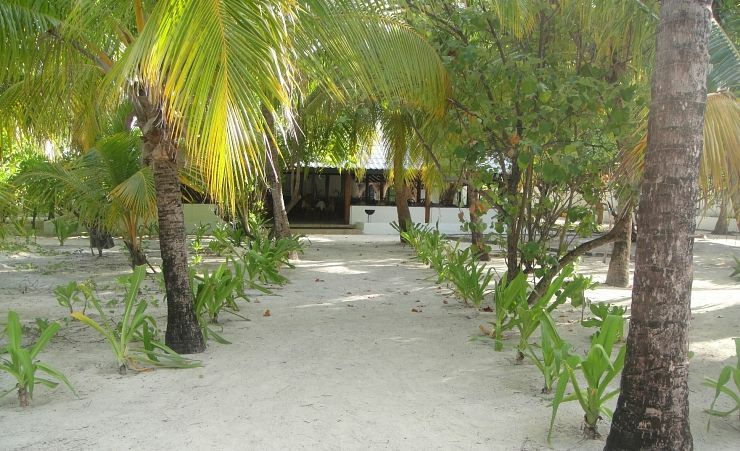 While you’re in Malé, you might also enjoy a tour of the sights, including the Grand Friday Mosque and National Museum. On the individual islands, the too-many-to-name resorts will each have their own take on the best ways to enjoy this paradise on earth. 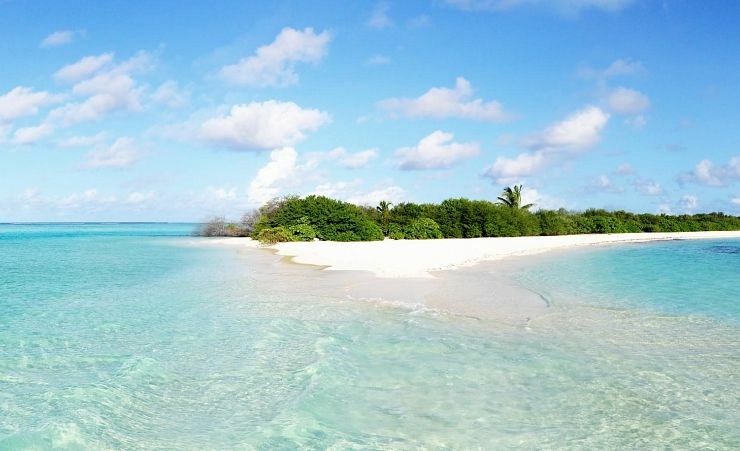 We’ll go out on a limb here and say that at least one of your computer backgrounds in the past has been of a Maldives beach. They are everything you want when you picture a dreamlike shoreline: the brightest white sand you could imagine, row upon row of palm trees, and a luminous cyan-blue sea that stretches to infinity. 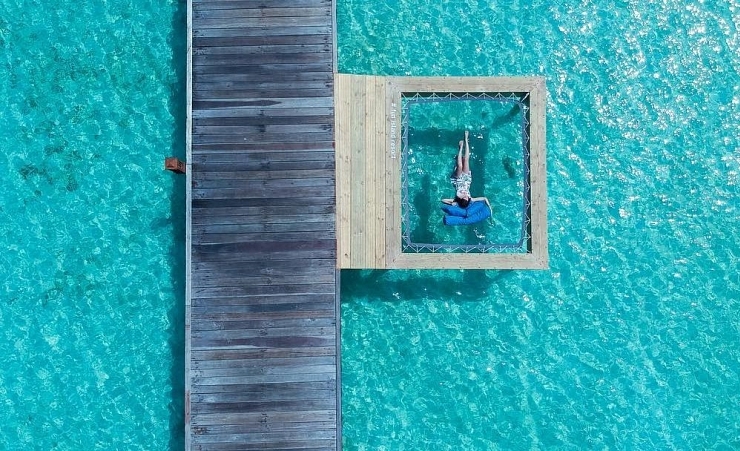 Also worthy of mention is the stilted water villas which are something of a trademark for the islands, providing unassailable views of the sapphire depths. 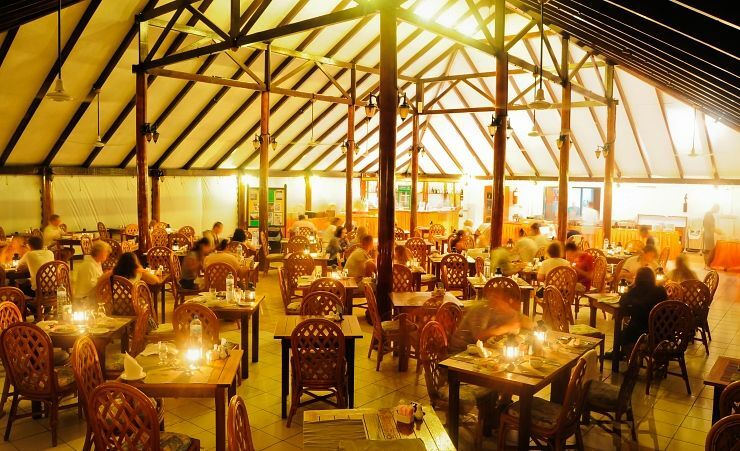 Depending almost entirely on which resort you end up choosing to spend your time at, the cuisine on offer could range from gourmet meals prepared by experienced, highly-regarded chefs, right the way down to chicken bites and pizza in the communal dining area. One thing of note is that rarely do the resort restaurants and/or eating establishments provide a taste of local cuisine. For a genuine sample of Madivian dishes, a trip to Malé (if you aren’t staying there for your visit anyway) is your best bet. The only places permitted to serve alcohol in Maldives is on the resorts themselves, where you’ll find no shortage of opportunity to kick back and enjoy the stunning vistas with beer, wine, cocktail or champagne in hand. Though be warned that prices are absurdly high, so all-inclusive packages provide markedly better value if you intend to do a lot of drinking. Beyond the bars of the resorts, nightlife and clubs are practically non-existent, barring the odd example of resorts that have their own nightclubs. 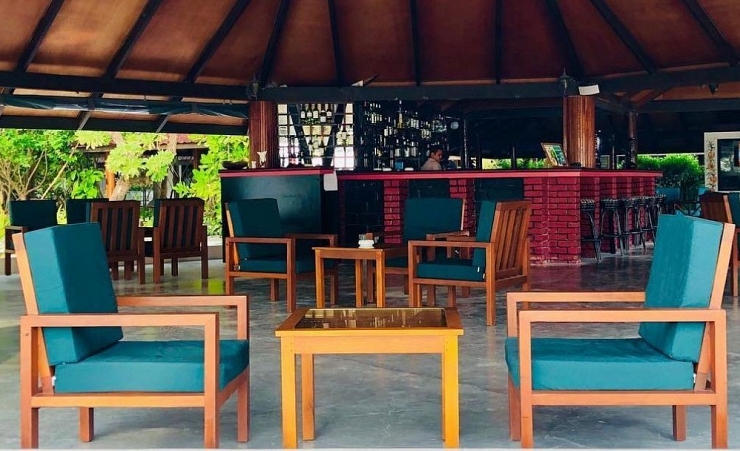 Almost all Malidivans identify as Muslim and the culture within Malé reflects this, where alcohol, pork, drugs, and even other religions are not permitted. This does not transfer to the countless resorts however, which are given license to effectively operate in a separate bubble. Again, heading to Malé and strolling around the markets is the best way to get a feel for local islander life. And to immerse yourself into the culture and history of the place, the aforementioned National Museum and Grand Friday Mosque offer the best options. If you’re in Maldives and haven’t dipped your head below the sea, you can only say that you’ve seen half of the delights on offer – maybe less so! This multicoloured sunken orchard of coral and exotic wildlife is something that is not repeated in many other places on our vast planet. And the crystal-clear waters will allow snorkellers and divers to see well beyond what you’d find in other parts of the world. A highlight on the diving front is Hammerhead Point where you can expect visits from hammerhead sharks and manta rays. Or if you don’t fancy getting yourself wet, taking to the depths in a whale submarine, where you’ll pass by tropical fish and, possibly, a shark or two, is an impressive way to spend the afternoon. 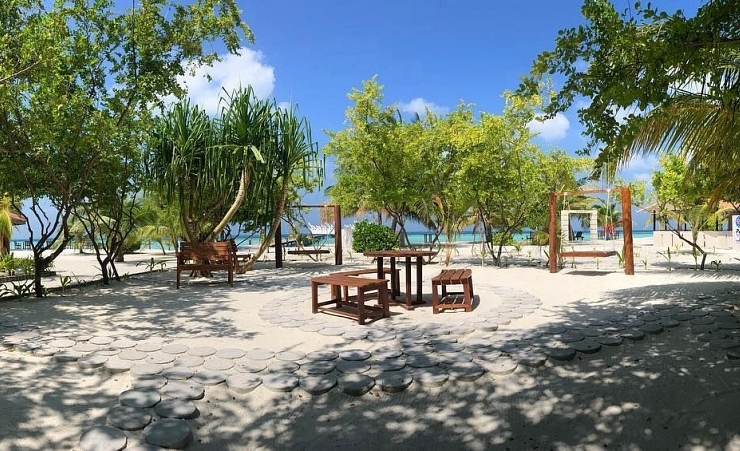 When you’re in the Maldives, you generally only get to see two places: the airport and your resort (or just one, if you’re staying on Malé for the duration). And getting from one to the other will be done either by speedboat or seaplane. But if you’re keen to know the modes of transport that the islands have to offer, it generally comes in the three forms of boats, seaplanes and private yachts, with the most common naturally being boats. Transfer Time: approximately 45 minutes.